No eggs? No butter? No problem. 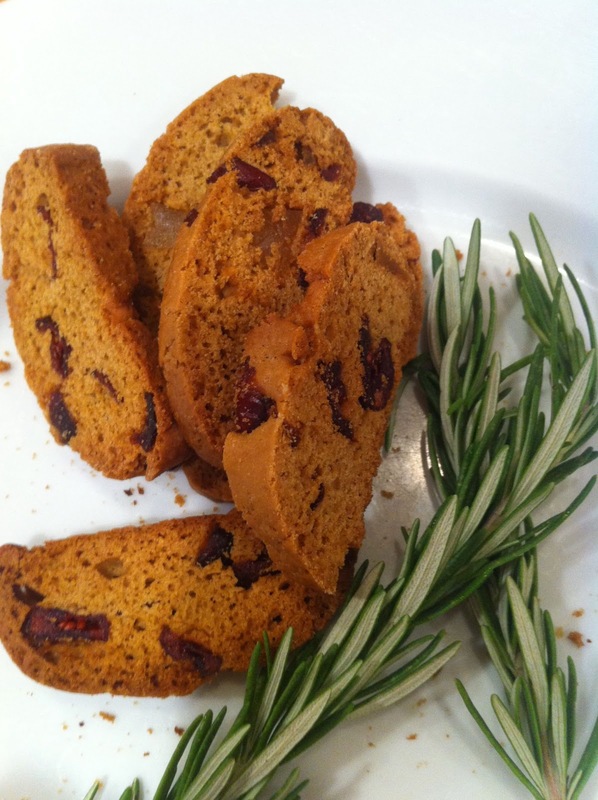 Make Biscotti, the twice baked Italian. 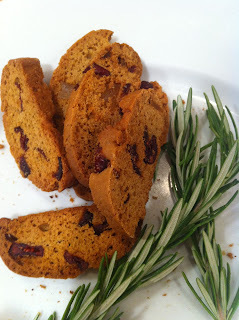 No two biscotti are ever alike. Every home cook has his or her favorite family recipe. This one is light, crunchy and a little dry, perfect for dunking in sweet wine or strong coffee. It's made with olive oil, rosemary and orange, but feel free to vary the flavors -- lemon and thyme; lavender and vanilla; dry and crystalized ginger. Preheat the oven to 350 degrees F. Lightly grease a baking sheet or line with parchment. In a large bowl, whisk together the oil, baking powder, salt, sugar, orange zest and juice, and rosemary. Stir in the flour to make a stiff dough adding a little more flour if needed. Then work in the cranberries. Using your hands, work the dough into a log about 2 to 3 inches wide and about 8 inches long on the prepared baking sheet. Bake until the log is lightly browned and firm, about 15 to 20 minutes. Remove and cool. With a sharp knife, cut the log into 1/2- to 1 inch slices. Arrange these on the baking sheet and return to the oven to bake until lightly browned and slightly crisp, about 5 to 10 minutes.